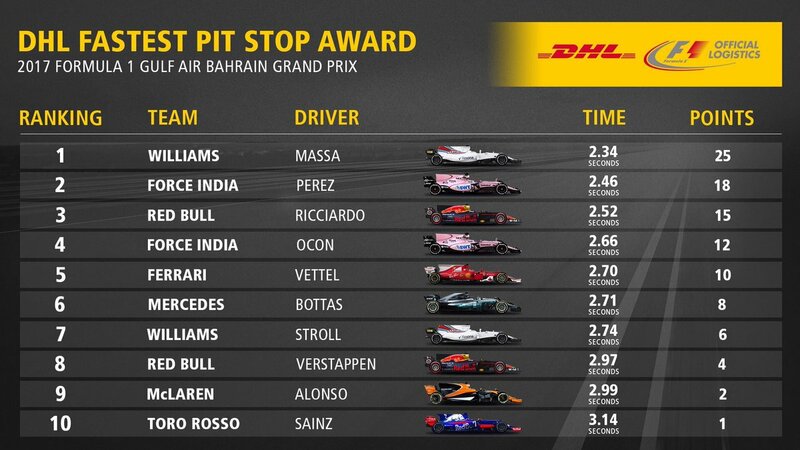 I think Bottas should be more worried about his own performance, Mercedes are not there just to pacify him. By the time Mercedes have given Bottas all the chances he needs to show he is WDC material Vettel maybe long down the road? It's easier to look better when the team is solely focused on you. Indeed. Which begs the question why Lewis was so flustered? Either that or they are facts which I actually think is more likely. "A fine debut pole position for Valtteri Bottas didn’t lead to a win due to a combination of wrong tyre pressures in the first stint, a lack of rear grip later in the race and slow Mercedes pit stops." Nothing was mentioned about Bottas not performing well. I to do think he car was more to blame for his weak performance this time. The lack of rear grip is because he set his car up for qualifying in order basically to qualify on pole. I was just agreeing with you? It feels like a dejavu of "RB sabotaging Webber on purpose"
I would have though that's down to Kimi being overall poor so far this season (be it qualifying, bad starts or overtaking slower cars) and its not a case of Ferrari not wanting to win the Constructors title, because if you believe that Kimi is being given "strange strategies" on purpose, in a tight season where every single point might be decisive on who wins the constructors title, thats what it translates into to be honest. I wasn't referring to Hamilton's demeanour, things can run a lot smoother when you are free to use your own strategy without restriction in respect to your teammate. Kimi gets the short end of the stick it was quite obvious last year as well. Was Hamilton restricted in respect to Bottas? For half the race yes, say the roles were reversed and Kimi was leading holding everyone up and Vettel was third, Vettel would still have pitted first. Yes that's the terminology I nearly used earlier, they were totally out of their depth. You don't think that he is? Maybe evading the point perhaps? Yet, you persist in suggesting that they should cater to Lewis. About giving the place back? Mercedes should cater to what's best for them and that's not letting another team win. I am sure that is what you believe, poker. They should cater to what you believe is best for Mercedes? You weren't concerned with what was best for Mercedes last year. Yo were wanting them to "cater" to Lewis, to ignore team policy. Do you remember? Indeed. Of course the top thing for Valtteri is to understand and overcome the issues of the last race but does that mean we can't talk about the other (for Bottas less important) aspects as well? Or are you suggesting that you know how he thinks and that he is not sufficiently worried about his own performance? Exactly what were Mercedes going to lose, the WDC, the WCC, or a race they were leading? He clearly stated that he wasn't happy about being given team orders, that seemed to be what prayed on him the most. The funny thing about giving the place back is numerous posts about the preferential given to Hamilton, I don't think I ever seen a supposed #1 driver have to beg the team for the #2 driver to let him by? The reality is that it would have been quite ridiculous for Hamilton to give the place both in terms of the WDC and also because Hamilton would have beat him anyway because it still wouldn't have altered Hamilton bearing down on Bottas at 2 seconds a lap quicker on a track were the overtaking delta was 1.3s. That isn't the point and you know it, poker. The point is that you are claiming Merc should do what is best for the team according to pokerman now ...ie cater to Lewis after only three races, when we all remember a recent time when your concern for Merc had nothing to do with anything but what you wanted for Lewis. Mercedes had the titles won and the cars were running 1-2 in the race, what were Mercedes going to lose, whereas in Bahrain they were losing a race and the lead of the WDC, completely different scenarios. It doesnt change your hypocrisy on the topic, poker. They followed their policy. Reinforced prior to the race. Thzt was what they thought was best for the team. You wanted special treatment for Lewis. Now you want them to act in the best interest of the team and get behind... surprise, surprise... Lewis... after only three races. The two scenarios are completely different and every race is different, Bottas needs to show he has the speed not only to beat Hamilton but Vettel as well, if Bottas has the speed he wins the race simples. There is nothing holding Bottas back here, there is no pre-ordained thing that Hamilton wins and Bottas doesn't. Do you agree with what Mercedes did? Last edited by pokerman on Sat Apr 22, 2017 11:36 am, edited 1 time in total. There is nothing holding Bottas back here, there is no ore-ordained thing that Hamilton wins and Bottas doesn't. I'm with Pokerman on this. There is no hypocrisy on his part as the 2 scenarios are so different they could be in different solar systems. The only thing Mercedes did wrong this last race was they made their decisions after the race had pretty much been won by Ferrari. In a similar circumstance they need to think on their feet a little more. They seem to have lost the art of thinking "what's my opponents best move and how do I counter it"
The season will be all the more interesting to see how Mercedes learn how to fight another team again instead of just within the team. And you clearly didn't read the full quote or just didn't understand it. The main issue was the pace. He understood the team orders. Didn't Lewis also say he'd give the place back? Did Mercedes order him to give the place back? In a race that Mercedes totally got out strategised let's add insult to injury and make them look even more foolish by letting Ferrari increase the WDC lead. Also regarding what Hamilton said, Mercedes have come out and said it was their decision to issue team orders not some kind of deal agreed with Hamilton, they didn't say to Hamilton ok will we will allow you to pass but if you don't win the race you must give the place back. Yeah I've just answered that, there was actually no deal brokered between Hamilton and Mercedes. I'm sure someone said they heard it on the driver radio during the race? Wasn't it you? ...were did you actually hear Mercedes say that if don't win the race then you must give the place back to Hamilton, it never happened. Mercedes have gone on record as saying that the team order was made by themselves, it was their decision not Hamilton's. Do you have a link that Mercedes made a deal with Hamilton that he must give his place back to Bottas if he didn't win the race? No, I'm referring to what people are claiming on here. Now do you have a link to the above, please?